Buying the right air conditioner for your house has never been an easy task. With the number of options available today, people tend to get confused and end up buying the wrong air conditioner. To help make your decision easier, we have listed down different types of air conditioners and their advantages. Broadly, there are 4 different types of air conditioners. Inverter technology – In this type of an air conditioner, an inverter is used to control the speed of the compressor motor, so as to continuously regulate the temperature. 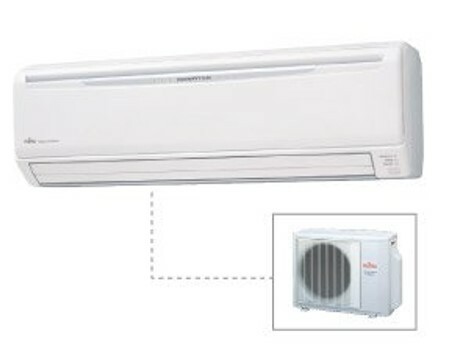 The inverter air conditioning units have increased efficiency in contraction to traditional air conditioners, extended life of their parts and the sharp fluctuations in the load are eliminated. This makes the inverter AC units quieter, with lower operating cost and with less broke downs. The inverter AC units might be more expensive than the constant speed air conditioners, but this is balanced by lower energy bills. Cooling only or reverse cycle – The reverse cycle or cooling only type of air conditioners is one of the most cost efficient options. They can also be used for heating during winters and emit lower amounts of carbon dioxide. These type of air conditioners are considered to be the most effective in heating and cooling large surfaces. Although purchase and installations costs can be comparatively higher. Wall or Window mounted – These type of air conditioners are effective for areas up to 50 square meters. They are installed in a window or mounted on an external wall. They were one of the first type of air conditioners available in the market, and are able to efficiently cool single rooms. Since more effective options like the split system were developed, the wall or window mounted air conditioners have lost demand. The reason being, the newer air conditioners are more efficient and have become affordable over the years. Size – Ensure that you select a product based on the required capacity of heating or cooling. If the model selected is too powerful for the area to be cooled, it may result in making the room feel less comfortable due to dehumidification. Similarly, if a model is underpowered, it will not cool the room efficiently. Climate – It is important that you keep in mind the climatic conditions of your region before buying a specific model. Some models may not be built for specific climates such has extreme hot or cold weather. Noise – Some models have a loud indoor or outdoor units. It can cause disturbance inside and outside your house. Local councils have a noise restriction relating to use of air conditioners, so ensure you are aware of these before selecting a model. Star rating – Finally, check out the star ratings of the model you are planning to buy and compare it to the ratings of models with similar capacity. The higher the stars, it means the more efficient and environmental friendly the model is. Keep in mind, the star ratings normally differ for heating and cooling.